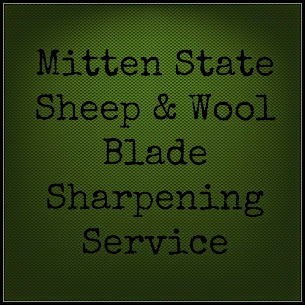 Mitten State Sheep & Wool : Sweet Sweater Surprise! Have you ever received a gift from someone you have never met? This weekend a box was delivered to me. It was a box full of wool sweaters sent from a person who has visited my blog, but whom I have never met! She had some beautiful wool sweaters that had been damaged. She seen that I had recycled some wool sweaters and instead of tossing the sweaters she sent them to me! A very thoughtful gesture! I have been browsing my wool board on pinterest to see what I can come up with! I know that several are just the right color to go into the tote that is storing the sweaters, I have been saving up for a blanket. The girls are thinking Christmas ornaments for another. Thank you Sandra, from Virginia for a very sweet gift! That is so very thoughtful! What a sweet gift. I can't wait to see what you do with them! That was nice of her! I make potholders and hotpads from old sweaters. I have an old plum colored sweater just waiting for my scissors, lol. Round and square shapes make really good ones that last a long, long time. Enjoy your treasure trove of sweaters. Oh, Sandra! What a kind gesture. How sweet! Bloggers rock !